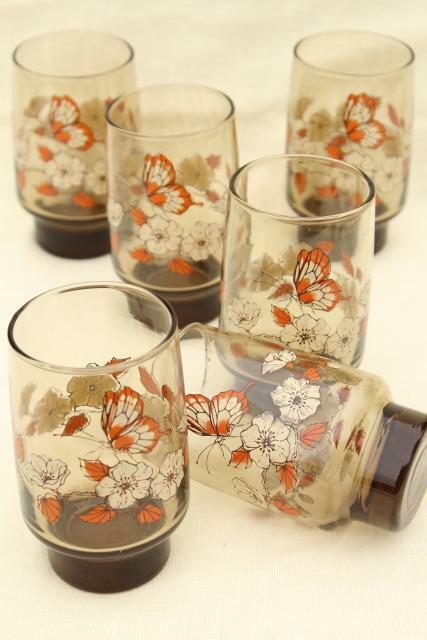 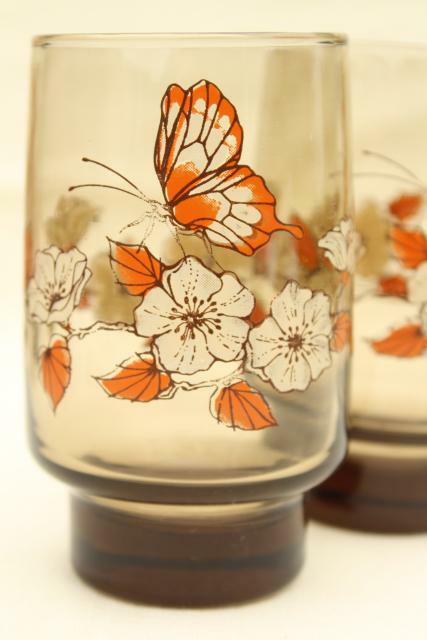 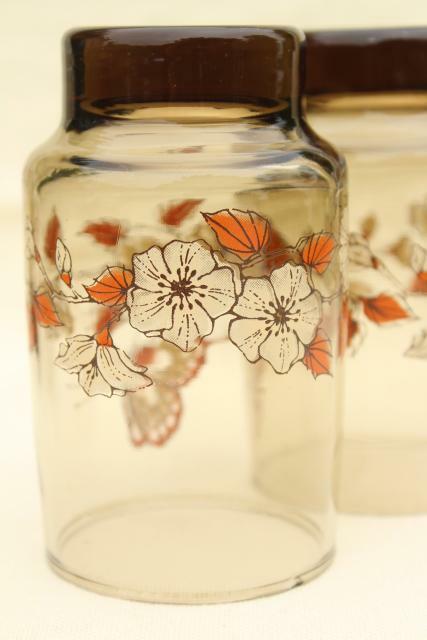 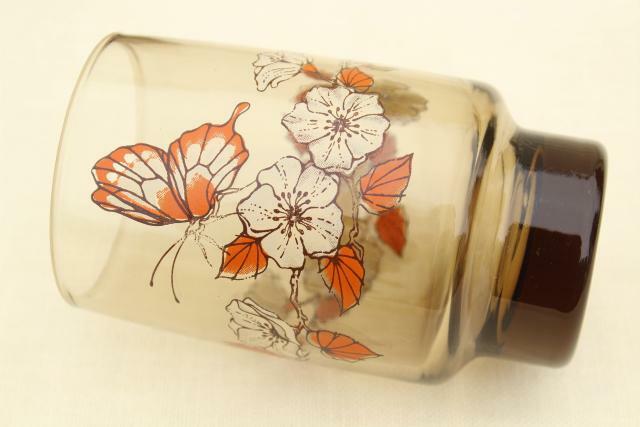 70s vintage Libbey Accent pattern glasses in tawny smoke brown, with butterfly and flowers print. 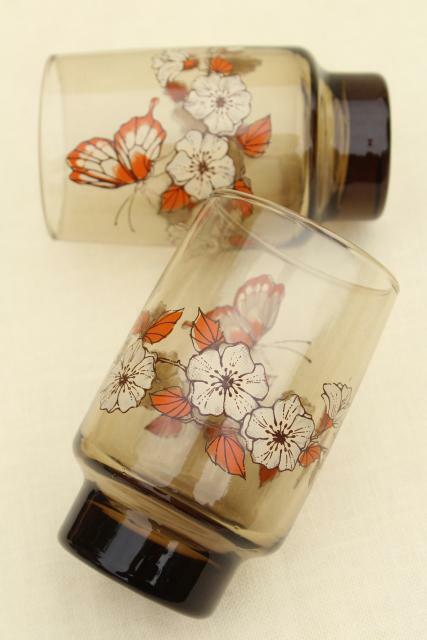 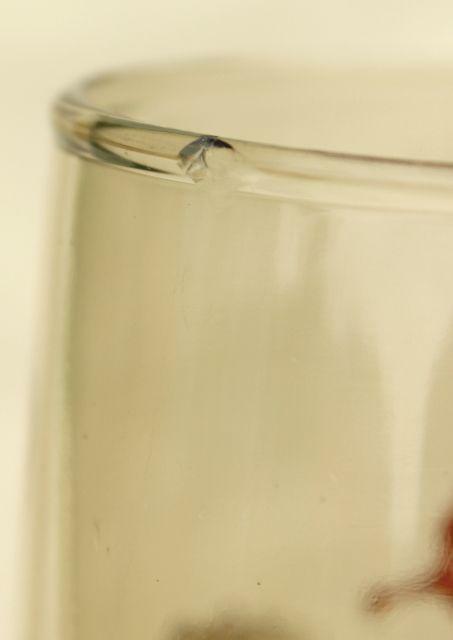 This is a set of six glasses 5" tall. 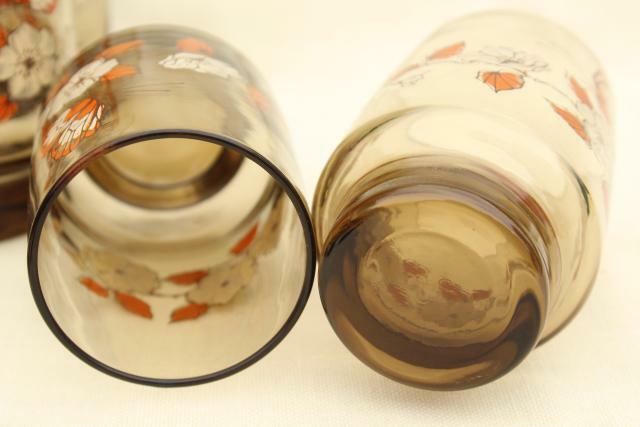 One has a little makers flaw to the rim, but aside from that we found no problems - these look very nice without wear.